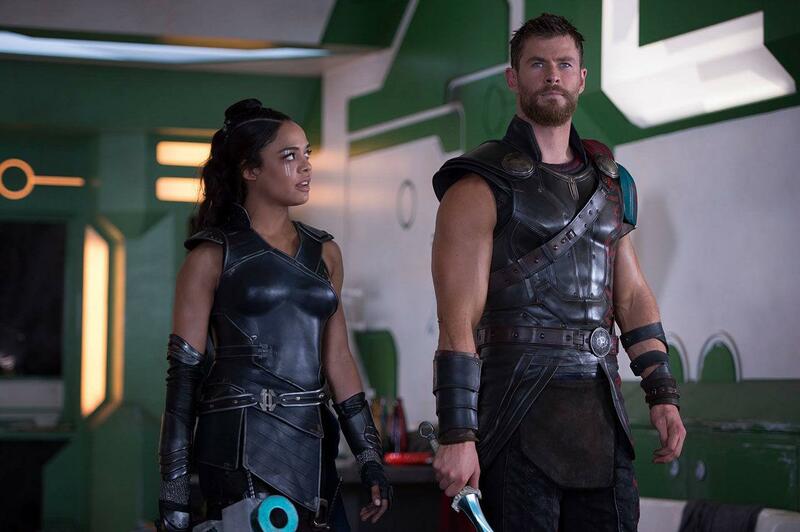 Thor Ragnarok was not the movie I was expecting to see. After reading early reviews I concluded it would be the funniest movie in Marvel’s Cinematic Universe (MCU). Some referred to it as a masterpiece by director Taika Waititi. Personally I just wanted to see a proper sequel to a sub-franchise that had been on hold for four years and ended on a mixed note (Thor: The Dark World). For the remainder of this review I note: SPOILER ALERT! The movie starts where The Dark World finished, Thor (Chris Hemsworth) discovers from an unlikely source that Loki has been impersonating his father Odin. After confronting Loki and consulting Dr. Strange they find Odin living in Norway, on the brink of death. After Odin passes his firstborn daughter, Hela, is able to escape her prison and unleash hell on Asgard with her powers. So far so good. When is Asgard ever at peace you might ask. Well it wouldn’t be an interesting movie if all we saw was Thor swinging Mjolnir left and right. Let me start by pointing out some of the elephants in the room. Yes, Asgard is destroyed, Odin dies and the Warriors Three are all slain. Especially the latter came as a bitter shock, and almost upended the viewing experience. Odin’s death had already been foreshadowed to an extend in the previous movies – actor Anthony Hopkins is not getting any younger! And Asgard? It may have been both a blessing and a liability. It offered beautiful cinematography, but it never made much sense story wise. So Thor Ragnarok does what The Dark World could not. And so after the conquest of Asgard Thor and Loki are exiled, for the umpteenth time. 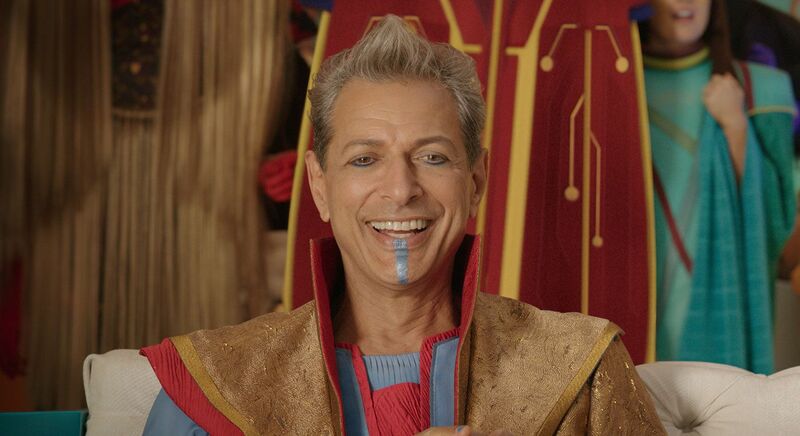 They arrive on the planet Sakaar, ruled by The Grandmaster (played by Jeff Goldblum). Sakaar is an advanced junkyard planet. In many ways the planet is the main attraction. Before long Thor is reunited with Bruce Banner / Hulk, an exiled Agardian named Valkyrie as well as Korg and Miek. What ensues is somewhat predictable but not any less entertaining. The Grandmaster forces Thor to fight The Hulk for his freedom, but it is staged so Thor can’t win. It transpires Banner has been in Hulk form for two years, only the accidental release of a recording of Romanov pacifies The hulk. As Thor and Banner attempt to escape they are pursued by Loki and Valkyrie. And so the story manages to find its way back to Asgard, in time to defeat Hela. I won’t go into too much detail, but the end solution to Thor’s Hela problem is ingenious – at the cost of Asgard itself. That said, I was miffed by omission of the deaths of the Warriors Three. 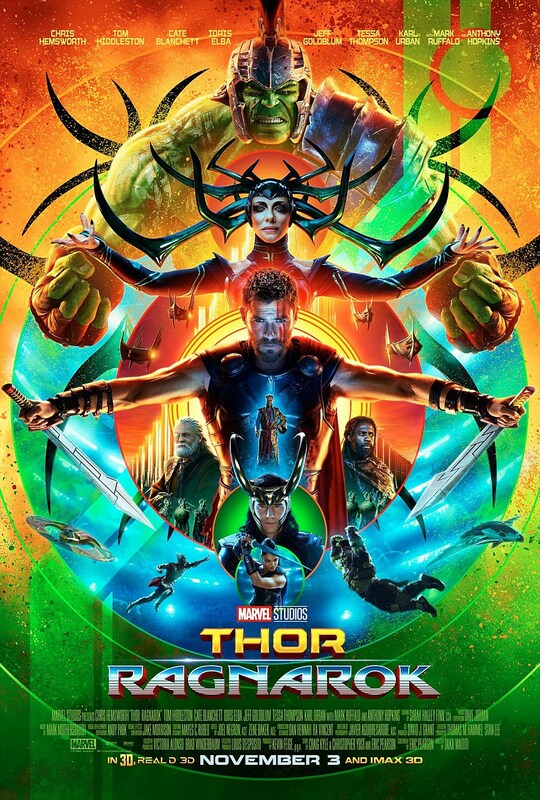 It is difficult to say if Thor Ragnarok is a really good movie. It probably isn’t. Not in the way Blade Runner 2049 was good. But in the moment of viewing it is tons of fun. In many ways it reminds me of Spider-Man: Homecoming. It is cheeky with its humor, no longer is the comedy restricted to the secondary characters as with The Dark World. Instead Chris Hemsworth is able to fully use his comedic depth. I of course also enjoyed everybody else’s efforts: Idris Elba and Tom Hiddleston never miss a beat. Neither does Cate Blanchett, but I am concerned about her role – Hela. She was without a doubt the most powerful villain in the MCU, and this does raise the question whether the series is overreaching. I have almost completely stopped watching any Marvel series and I worry about Avengers: Infinity War. Marvel has managed to side-step the issue because it movies are based diverse comic-book characters, but I feel the shine is long gone. The culling of so many characters in Thor Ragnarok doesn’t give this sub-franchise much options for growth. Previous story The Last Jedi trailer released – Does it reveal too much?